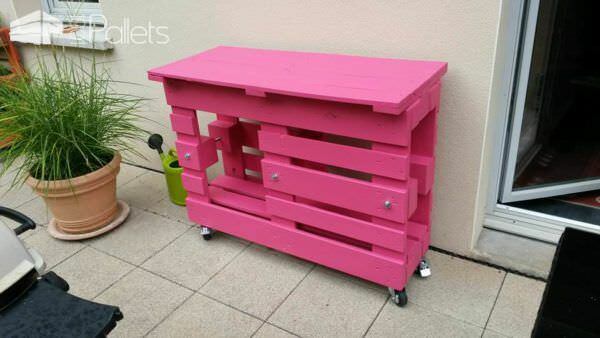 If you love the pink color, you'll love this outdoor pallet bar. 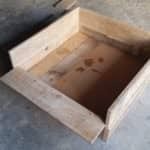 This pallet bar that could be used as a little BBQ table was made from two recycled wooden pallets by Olivier Bouvet; he added wheels to the bar to be able to move it quickly. 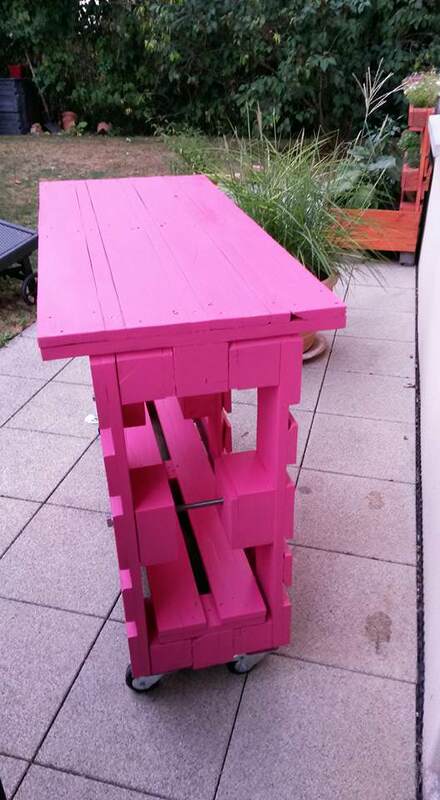 Then he painted the bar with a beautiful pink color to add some colors to your terrace :) Well done!